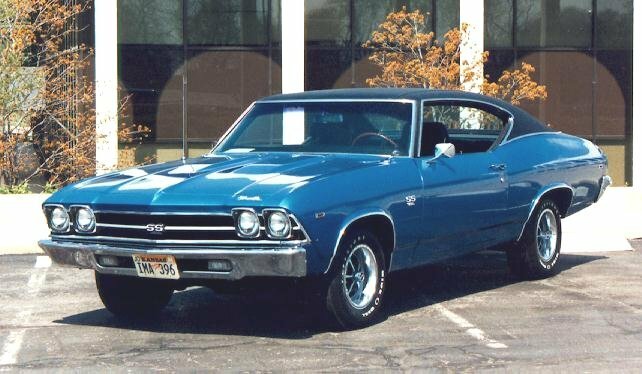 Chevelle Tech > Mechanical > Electrical & Wiring > Hot lead to coil from batt for basic start up? Hot lead to coil from batt for basic start up? Can I run a lead from the positive terminal of the battery to the positive side of the coil for basic start up ? Re: Hot lead to coil from batt for basic start up? Yes but what vehicle and what distributor? It's a 65 Chevelle with conventional original setup. I've got it set up with my homemade remote starter. I just realized that the coil needs to be continuously hot to run the engine. I was just worried about burning something up. I was thinking of wiring it to the starter but just realized if I disengage the starter I'll cut the power to the coil and it would shut off. I don't like feeding that coil with power if it's not running, things seem to heat up. I'm working with my timing now. I've got pre-ignition and need to reset the distributor. funny how a friend of mine had the same issue I did and forgot to close off the oil pressure fitting on the engine. He had his running and it was raining oil. I had a slow gusher. Had a panic moment. Yes you can jumper from the battery to the coil + terminal. You'll need to remove it to turn the engine off. Make sure you set your dwell prior to adjusting your timing. It's a 65 Chevelle with conventional original setup. But, I will say that I personally don't think it will hurt anything to run it off of 12 volts because years ago before I knew better, the resister wire in my nephew's old 66 Impala burned up and not knowing it was a special resister wire at the time, I ran a new regular wire (16 gauge I think) and he drove the car a couple of years before trading it in with no problems at all. Is there a reason why you cant just turn on the key? I thought the resistor was to save the points from burning up, not the coil, then again maybe it is both? DUTCH MAX HEADWORK and 1943MB like this. Engine is in the frame and the body is still needing to be finished out. I wanted to make sure that I did not have to take 100 steps backwards because the engine needed to be pulled. Almost started. It's the timing. Should crank right up but you know the story of the best laid plans of mice and men. It's gett'n there. Now where's that shop manual. I'll post a picture later. Even if I had the body on the frame I would use a remote starter for a whole lot of reasons. First and foremost , being able to bump the engine to line up the timing marks which ain't very easy. If someone has a way to turn over the engine without having to twist the front harmonic balancer on a stock 65 I'd love to hear it. Last edited by 1943MB; Mar 23rd, 19 at 11:01 PM. If you are just running for a short time, you can run the 12 volts. But you should run a resistor wire or inline resistor to keep from overheating the coil or burning up the points. https://smile.amazon.com/ACDelco-F11...s%2C209&sr=8-1 Should be easy to get at any auto parts store. If you install the resistor, you may or may not have sufficient voltage to start the car for proper ignition. Chevy runs a 12 volt source to the + terminal when the starter is engaged to counter voltage drop. You can run a 12 volt source during starting, then disconnect when running to use a resisted power source of approx 9volts to run the engine. If everything is hooked up, just turn the key. Use your remote starter or pull the plugs if you need to turn over the engine. There is a tool you can use to turn at the flex plate but involves getting under the car but it's a pain in the rump. With the plugs out, it will turn over easy from the harmonic balancer bolt. What ever works. Ahhh yes, pull the plugs. Engine will turn over more smoothly and I might be able to be a bit more accurate lining up those timing marks. Tool to turn the flex plate. Need to see what that gizmo looks like , although the no plug plan might be the ticket. I just want to see if it will crank up and run. I will sleep better. Cheaper one with pretty handle. Well, something went wrong. Photos or links did not come through. Maybe you needed to wait 25 seconds. 25 seconds between pages. Is this some Commie plot. Thanks, I see Home Depot has them for $13.00. I like the tool that bolts to the crankshaft balancer myself, you don't have to crawl under the car. I made my own though with a piece of metal with three bolt holes and an old socket welded in the center. The one shown is great if you are already under there though. Oh, well duh, thanks. I got a new post on spitting through the carburotor. Help needed. Oh, well duh, thanks. I got a new post on spitting through the carburator. Help needed. Here's the tool I welded up. Problem is it only works if the balancer is made available. On a 65 it's just about impossible to turn the engine because there's no center nut on the engine crank. Once the pulleys and belts are in place your best bet is the flex plate .